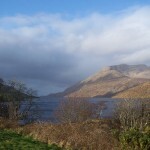 Killary is situated on the southern shore of Ireland’s only Fjord on the Wild Altantic Way, with unrivalled views of the spectacular bay and across to the northern shore to the Mayo mountains. 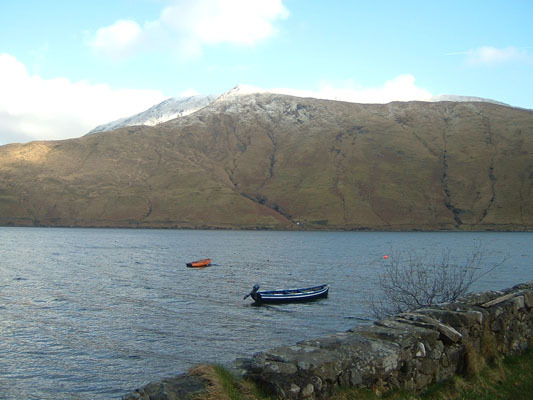 After a days walking along the Fjord you can chill out with a moonlit dinner cruise aboard the Connemara Lady (Killary Cruises) before retiring to the nearby Sleepzone.ie hostel, one of the most spectacularly situated hostels in Europe. 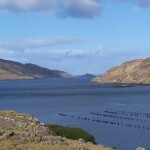 Cutting a deep gash into the rugged coastline of northwest Connemara, where the counties of Mayo and Galway meet, Killary Harbour (An Caoláire Rua) is one of three examples of glacial fjords found in Ireland, the others being Lough Swilly and Carlingford Lough. Dramatically surrounded by mountains that rise steeply from the water’s edge, the fjord stretches 16 kilometres inland to the picturesque village of Leenane. 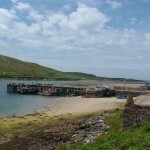 The harbour has a depth of about 23 metres for most of its length and a maximum of 45 metres at its centre. 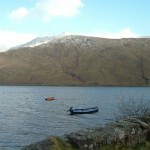 On the northwest (Mayo) shore, Mweelrea – the highest of Connacht’s mountains – dominates the spectacular scenery. 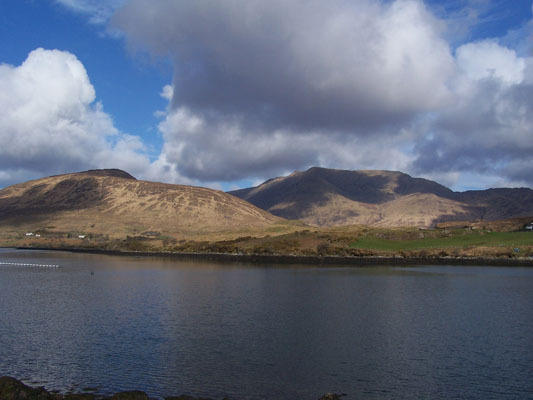 East of Mweelrea on the Mayo side lies the Ben Gorm range, while on the Galway side to the south are the Devilsmother, Leenane Hill and Binn Mhór. These breathtaking mountain vistas provide a dramatic backdrop for Leenane, nestling beside the water at the head of the fjord. 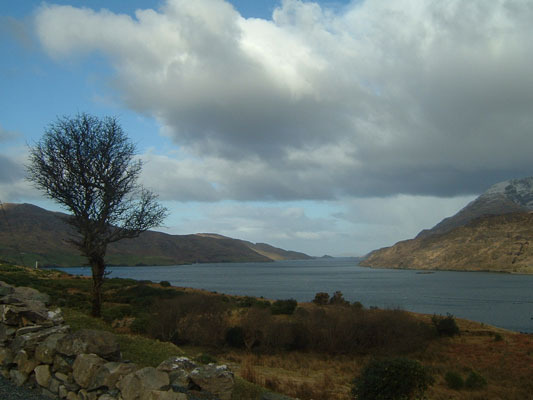 In 1903, Leenane played host to King Edward VIII and Queen Alexandra when they made a tour of Connemara including a visit to nearby Kylemore. 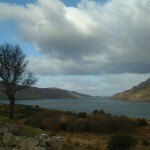 More recently, Leenane featured in the movie The Field. 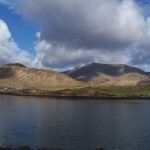 In the centre of Leenane is the Sheep and Wool Centre, which includes an excellent museum featuring the history of sheep farming and the woollen industry in Connemara, along with a superb gift shop and café serving home-cooked food. An old grass-covered road (known as the Green Road) runs along the southern side of the fjord. It provides an excellent route for a leisurely walk. Originally built as a 19th century famine relief project, it is a poignant reminder of the devastation suffered in this region during the potato famine. At the western end lies Rosroe, a small community where the philosopher Ludwig Wittgenstein spent some time after World War II. Along the road, roofless ruins of cottages, cultivation ridges and field outlines hint at the population that scraped out a living on these hillsides before the potato famine decimated their numbers. 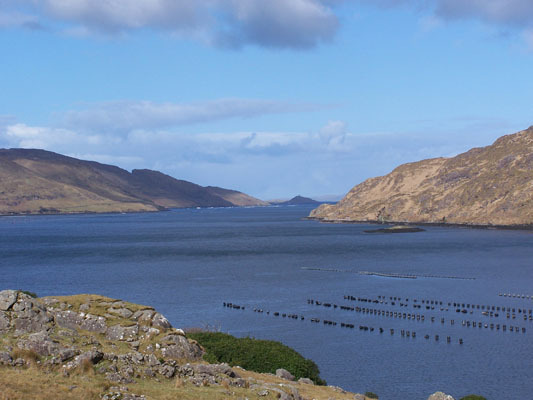 In more recent times, Killary Harbour has become a centre for aquaculture, with mussels being farmed in the deep, clear waters of the fjord. Fish cages belonging to a salmon farm and mussel rafts are a prominent feature, along with the boats that service them. A cruise ship also makes trips along the length of the fjord, allowing superb views of the surrounding scenery, as well as a very good chance of a close-up view of friendly dolphins that frequently accompany the ship as it gets closer to the mouth of the fjord. 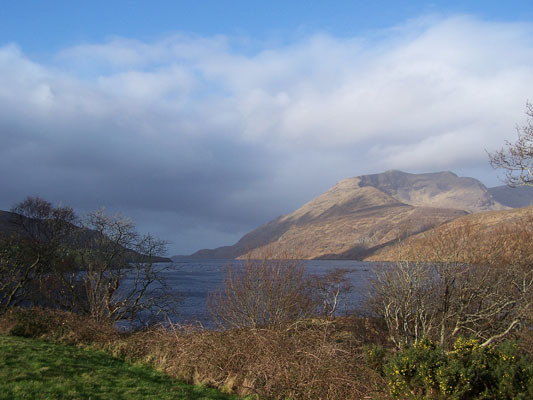 In addition to the dolphins, seals and otters that swim in the waters of the fjord, Killary also provides habitats for a large variety of bird species, including mallard and tufted ducks, whooper swans, barnacle geese, grey heron and ringed plovers, not to mention numerous seabirds. This part of Connemara would have been badly affected by the famine in the 1840’s and there is evidence of the destitution of this era, ruined buildings, a famine relief road dating back to 1856 which would have been constructed by the local people in return for food. There are amazing walks which take you along this historic road. Nowadays it’s a much happier spot with a lot of industry including mussel farms in the fjord and a chance to taste them locally. 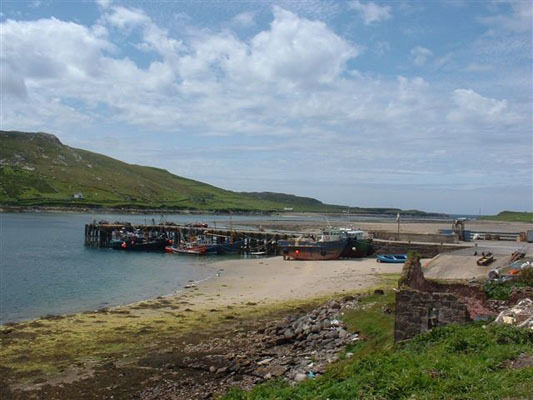 You can also pick your own fresh mussels on the shore – delicious!